Good Morning crafty friends! Today I am sharing my DT project for Rebecca Baer. 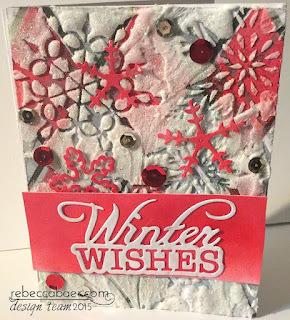 I have started on creating my Christmas Cards for this year, and Rebecca has some perfect stencils for this time of year! I did a double layering technique with this card, using the Petite Diamond Plaid Stencil first. 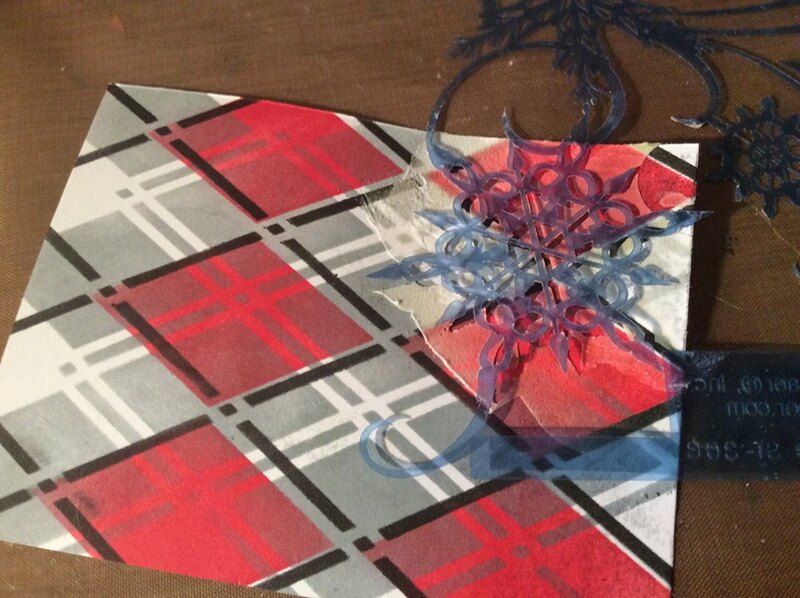 This is a fun stencil, there are three parts to it, and you layer on one stencil at a time. I decided to go with holiday themed colours in my card. Next I used the Snowflake Masque Stencil and some embossing paste, which is like a light texture paste and spread it all over the top of the background. 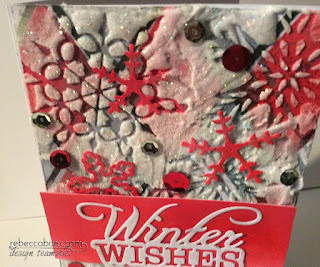 Once that was completed all over the card, I got out some holographic embossing powder and sprinkled it on top of the wet texture paste. I then heat set it with my heat gun, and the effect shown above, is dimensional and very snowy and sparkly looking! 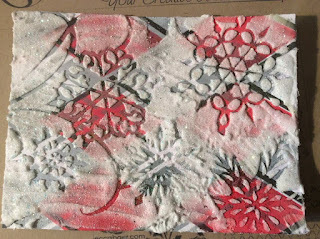 Now it is time for some die cutting, I used a Winter sentiment and some snowflakes which I coloured with Festive Berries Distress ink. I used my glossy accents to glue it all down. 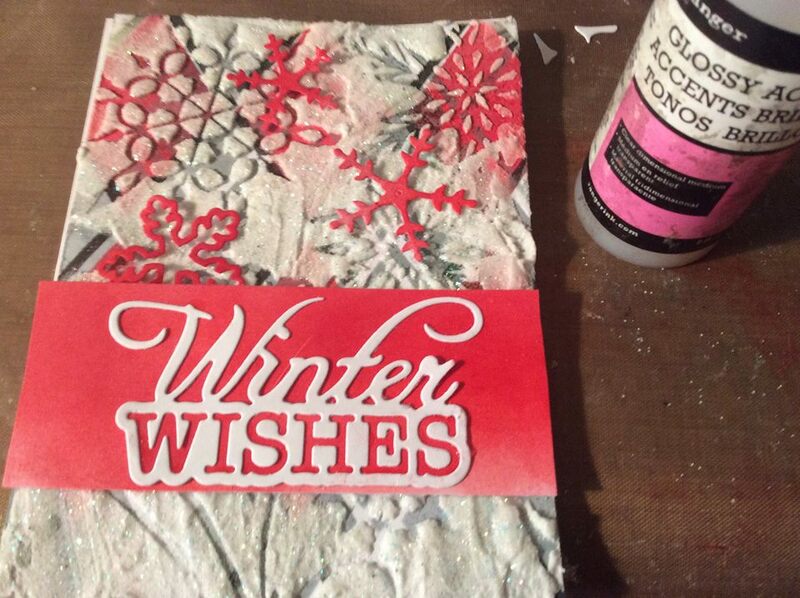 You need a strong wet glue to make the pieces adhere to the texture on the card. I added some sequins and glitter for some finishing touches to the card. 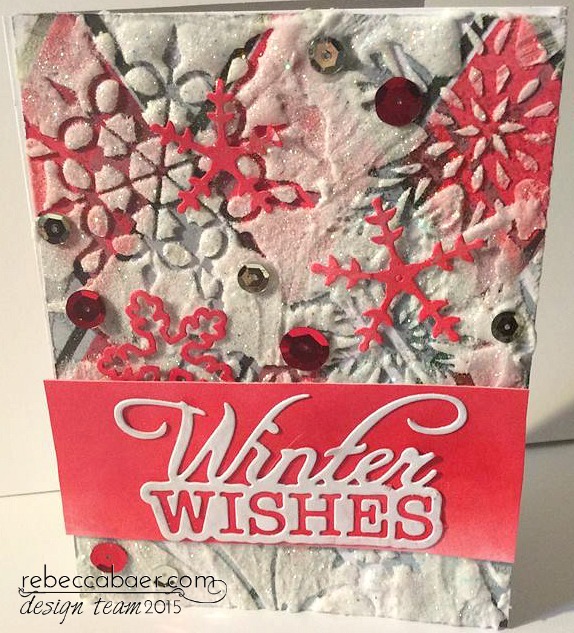 I hope you have been inspired to create a snowy card yourself and will give this layering technique a try.